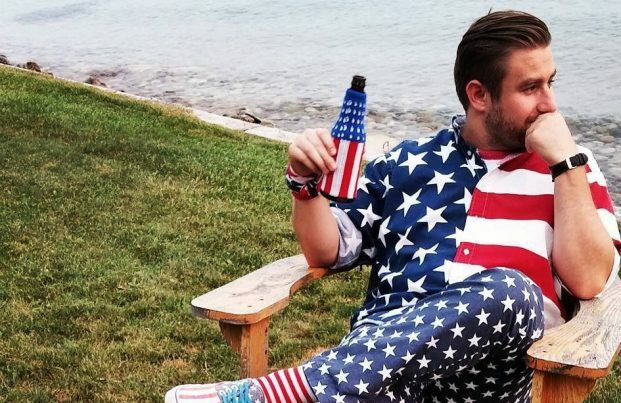 For months now various reports and various figures have claimed that murdered Democratic National Committee IT staffer Seth Rich was responsible for turning over scores of emails belonging to the political organization to the whistleblower website Wikileaks — not the Russians. Now, additional evidence indicates that Rich, and not Moscow, was indeed responsible. It’s important to note that this story first began in December, when the UK’s Daily Mail reported that a former British ambassador to Uzbekistan — Craig Murray — said he flew to Washington, D.C., specifically to meet a shadowy DNC insider who gave him the emails. While Rich wasn’t mentioned in that report as the leaker, subsequent reporting by other media began to implicate, then name, him directly. In May, for instance, Fox News published a story (later retracted) naming Rich, saying he had multiple contacts with Wikileaks officials. Later that same month, legendary hacker Kim Dotcom said he knew for sure that Rich was the one who gave Wikileaks all of the emails — not the Russians. In July, an independent forensic analysis of files belonging to the DNC that were summarily published by the persona Guccifer 2.0 indicates they were most likely downloaded locally instead of being hacked, especially by anyone from Russia. The Feds get through [the password-protection on Rich’s computer], and here’s what they find. This is according to the FBI report. What the report says is that – sometime in late spring or early summer – he [Rich] makes contact with WikiLeaks. That’s in his computer. But WikiLeaks got access before he was killed. I have a narrative of how that whole f**king thing began. It’s a [former CIA director John] Brennan operation. It was an American disinformation [campaign]. As noted by Washington’s Blog, #NeverTrumper Brennan, a serial liar, is very much responsible for the narrative blaming “Russian hacking” for the DNC leaks. Once again the “official Washington narrative” — and more specifically, the official Democratic narrative — is being proven demonstrably false. From the outset, Wikileaks founder Julian Assange has said on the record the Russians did not provide him the DNC data. It seems he was being honest the whole time.